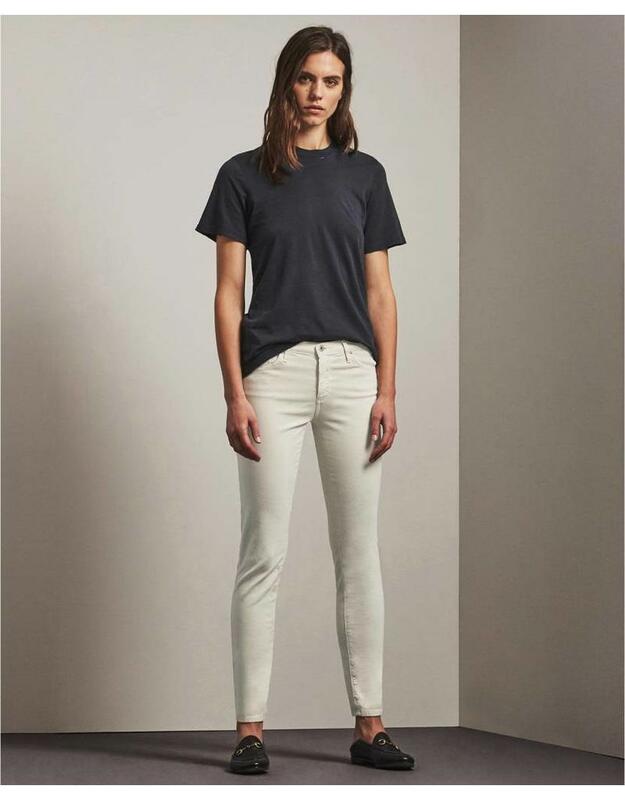 Cut for a comfortable slim fit, our mid-rise cigarette pant has a soft, refined feel in supple stretch sateen. Five-pocket styling features a zip fly with a single-button closure. Fits true to size.Mid-rise cigarette.